While there are many differences and some surprises, the day to day leadership role in a Not for Profit is not that different to working as an executive in a large corporate - the goal however is enormously inspiring, writes Anne Myers, United Way Australia’s interim CEO. While there are many differences and some surprises, the day to day leadership role in a Not for Profit is not that different to working as an executive in a large corporate – the goal however is enormously inspiring, writes Anne Myers, United Way Australia’s interim CEO. Have you ever considered moving from the corporate world to the Not for Profit sector? Does an executive role creating positive social impact appeal? For me, such a move came out of the blue. 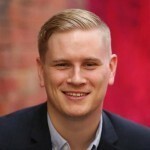 Although I had been a member of United Way Australia’s Sydney Council for five years and had performed pro bono work for the organisation, I was embarking on exciting, unknown territory as interim CEO while the organisation recruited a permanent CEO. One of the reasons I had not pursued another full-time corporate role after leaving my post as Chief Operating Officer at ING Direct was that I wanted more diversity in my work life and the space to learn new things. This presented a great opportunity to do that without long term commitment. Now, with my four month tenure as CEO coming to a close, what have I found? What is the same? And more importantly, what is different? The most surprising thing was the tension between collaboration and competition within the NFP sector. I had not considered that organisations working towards a common social goal would also be competitors for funding, similar to the corporate world. This is an additional challenge for organisations like United Way – a ‘backbone’ organisation facilitating and working with partners to solve social problems – as in fostering genuine community ownership of social change, our brand is sometimes nowhere to be seen. Does true collaboration with communities mean forgoing acknowledgement of a NFP brand? How might that affect future funding opportunities if other organisations take a different approach? During my short tenure as CEO, I developed an appreciation that lessons in the corporate world are sometimes not directly applicable to the NFP sector. Mutual respect is vital in corporate/NFP partnerships and many corporate executives do provide valuable mentoring and supportive advice while respecting the expertise of NFP teams in their field. With arrogance on either side though, a partnership is doomed to fail. With respect it will flourish. One of the most challenging differences for me – which I suspect is the case for many NFP CEOs – is that I spent a lot of time on things that, in a corporate environment, I would have had support services to manage. With no HR or legal department, I became much more deeply involved in those issues. Administration too seemed to take up about 20 per cent of my time. My appreciation for various fabulous Executive Assistants over the years was always high, but is now stellar! In the past I would have thought “why not recruit a volunteer?” That would certainly help – but requires time to work out the role, write the job description, recruit and manage. This need and pressure – from various sources – to keep administration costs down can have a negative effect on the way senior NFP executives spend their time. Is it an effective use of limited resources to have a CEO compile Board Papers when they could been ensuring that impact initiatives are effective and funding keeps flowing? I call this ‘the donor’s dilemma’ – people and companies want their donations to go where they believe it ‘will do the most good’. That is often thought to be directly on activities ‘in community’. Sometimes this can adversely affect an NFP’s ability to keep administration costs to a minimum. But who wants to fund admin support? One flip-side of limited funding though is there is none of the lack of clarity that can sit around roles in ‘for profit’ organisations.The high motivation level of NFP teams creating social good is impressive. Staff are truly engaged in their roles and committed to doing their very best for society. Everyone is clear that we must maximise the good we do and work with our partners to make sure that happens. The nature of NFPs work is highly motivating and the potential to engage corporates in this work is great. I created a list of United Way’s pro bono partners and how they assist the organisation. It was a very long list, including office space, legal and financial auditing services – at a rough calculation I would estimate pro bono contributions would be worth well over $500,000 per annum. That’s in addition to a group of very talented individuals who also commit their time, resources and contacts to help us. Such generosity is not often seen in a corporate environment. While there are many differences and some surprises, the day to day is not that different to working as an executive in a large corporate. There is still planning, leadership, working with partners, negotiating contracts and all the challenges, fun and drudgery that a senior role usually requires. The goal however, is enormously inspiring. Have I enjoyed it? Absolutely. Would I want to do it as a long term career? I think I can contribute more as a volunteer and board member than as a hands-on CEO. When I hand over to Kevin Robbie, our new CEO, I pass to him an excellent team achieving significant social good and focused on creating even more. I am looking forward to being involved and helping where I can. My advice to corporate executives considering a shift to the NFP sector? Take the time to understand, through offering your time and expertise in a constructive manner, before you take the leap. The differences between sectors are many – both positive and negative – and you won’t have all the answers. You will certainly broaden your perspective and skills. And you will feel more motivated to get to work on Monday mornings than you ever have before, for a very good reason. 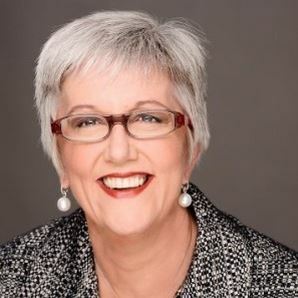 About the Author: Anne Myers became United Way Australia’s interim CEO, after a career of more than 25 years in the finance industry. She is a current Trustee of the ING Foundation, member of the Sydney Council for United Way Australia and University of New England and Advisory Board Member for TokenOne.